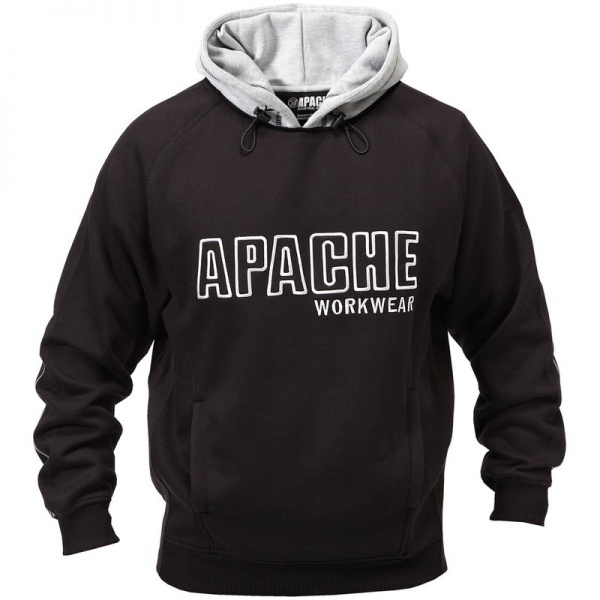 The Apache Workwear brushed back fleece sweatshirt with toggle adjustable double hood. Tunnel front pocket. Durable cotton covered elbow patches. 5 thread stitch detail for durability. A quality hooded sweatshirt for all trades.